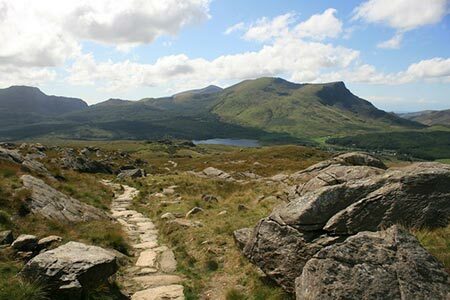 Snowdonia walk to Snowdon's summit using the Rhyd-Ddu and Snowdon Ranger Paths. This is a route for the connoisseur avoiding many of the crowds that are attracted to Snowdon's summit. The paths are generally easy to follow and provide excellent views throughout. Choose a fine day to fully appreciate the mountain scenery. A GPX File is available for download (see walk description).